Free Comic Book Day Giveaway! We have joined forces with the incredible Forbidden Planet International to give our listeners a full UK pack of this Saturday’s free comic book day bundle! If you’ve every been to a comic book store free comic book day event, then you know that getting your hands on all the comics is very rare! The competition is open to UK entries only, and the winner will be announced via Twitter on Monday 7th May at 9pm UK time. Author BenPosted on 04/05/2018 04/05/2018 Categories New Blog PostLeave a comment on Free Comic Book Day Giveaway! 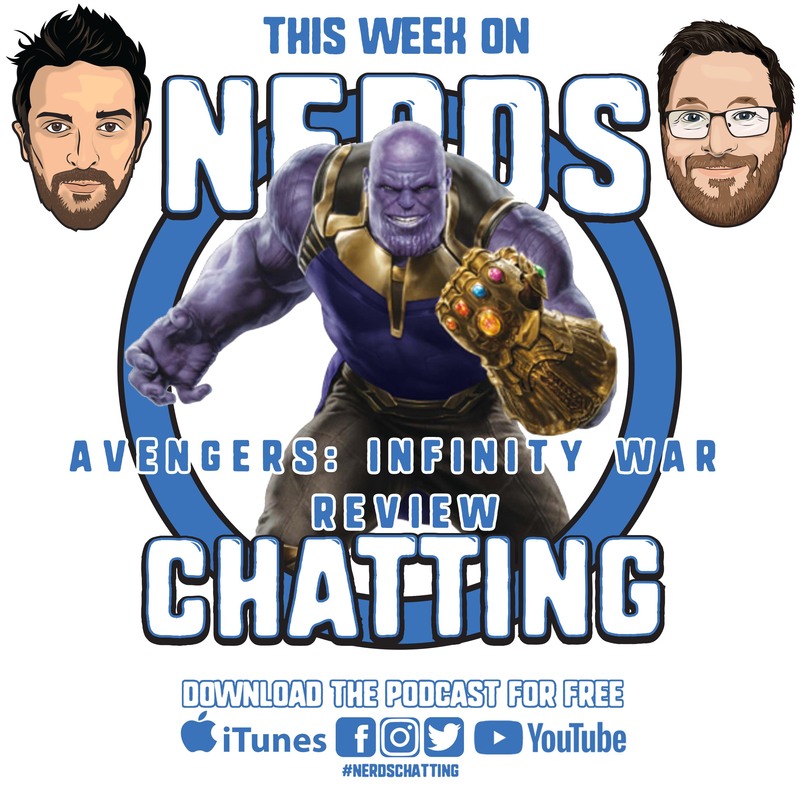 Today we review the movie the whole world is talking about… Avengers: Infinity War! Check the timestamps for fun times and spoiler warnings…!!! 00:24:46 – Competition winner and new competition announcement! Thanks again for tuning in everyone. We’ll be back next week to chat the Netflix show, Lost in Space. We are giving away prizes in our Avengers: Infinity War COMPETITION! 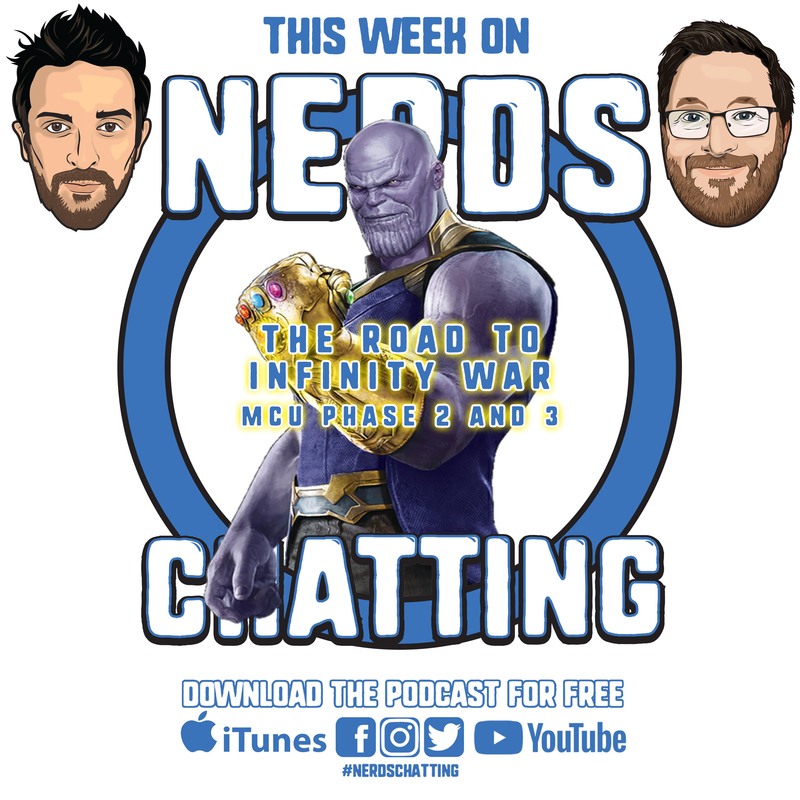 To be in with a chance of winning a nerdschatting t-shirt of your choice, a Thanos pop vinyl, a mystery mini pop, an iron man keyring and a captain america pin, we need you to get creative! Draw a picture of your favourite Marvel character (can be pen and paper or digital) and send it to us! Either direct message us on Twitter, Facebook, Instagram or email it to us (nerdschatting@outlook.com) and that’s it…you’re entered! The competition will be running for the next few weeks and we’ll announce the winner on our Avengers: Infinity War review on Thursday 3rd May. Competition closes at 5pm (UK time) on Thursday 3rd May. We’ll post all the entries on our social media channels – and will pick our three favourites on the podcast. Now… GOOD LUCK AND GO GET CREATIVE! 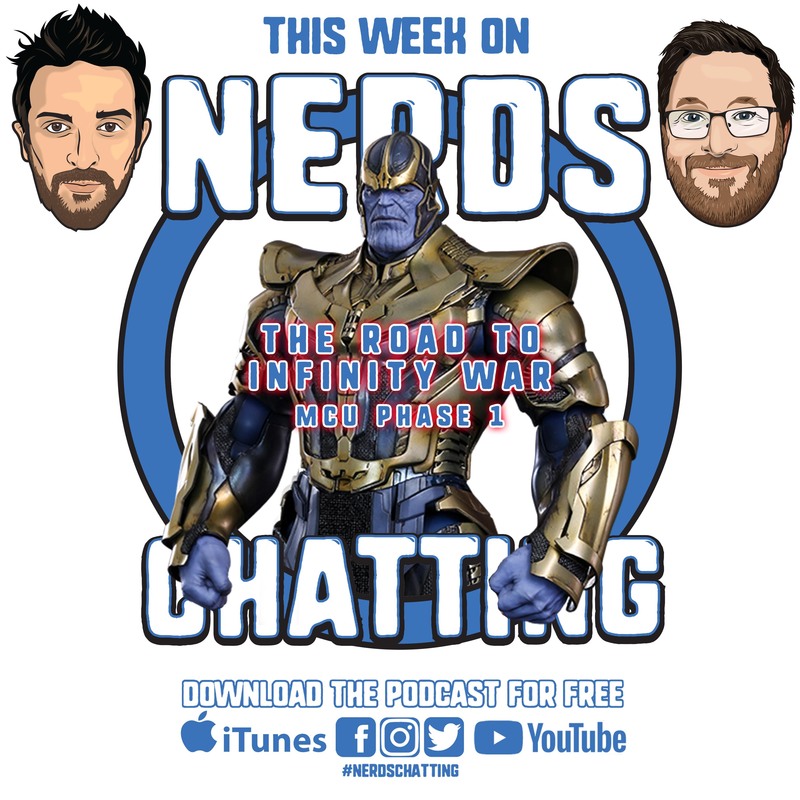 Today we get on the “Road to Infinity War” with our chat about the MCU phase 1. 00:43:45 – Infinity War competition – listen to discover how to enter! Thanks again for tuning in everyone. We’ll be back next week with MCU Phase 2 chat! 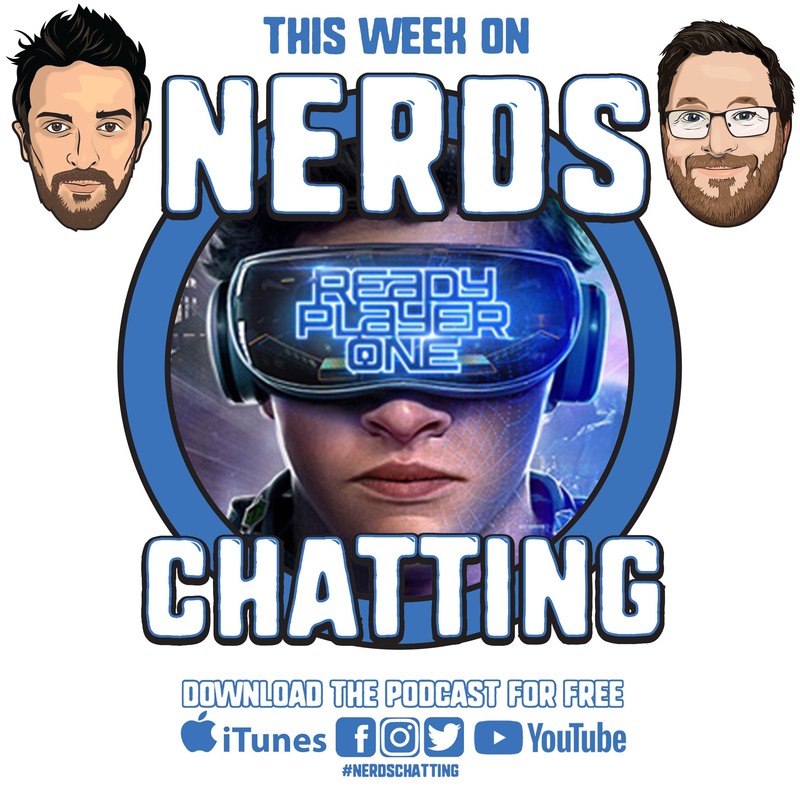 Today we sit down and chat about Ready Player One, the new Steven Spielberg movie based on the book of the same name…which we haven’t read! 00:11:33 – Woody Harrelson as Carnage?